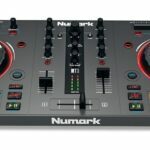 What are the Best DJ Controllers For Beginners? So you’re thinking to get into the world of DJing. 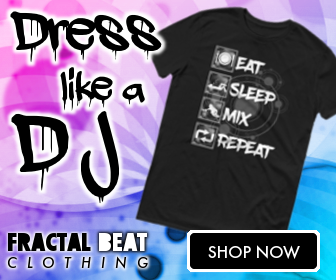 Well before you become master of the dance floor you need to find the right introductory gear to get started and learn the ins and outs of the game. Whether your want to pump a crowd or create something personal I’ve put together a list of great controllers for newbies. 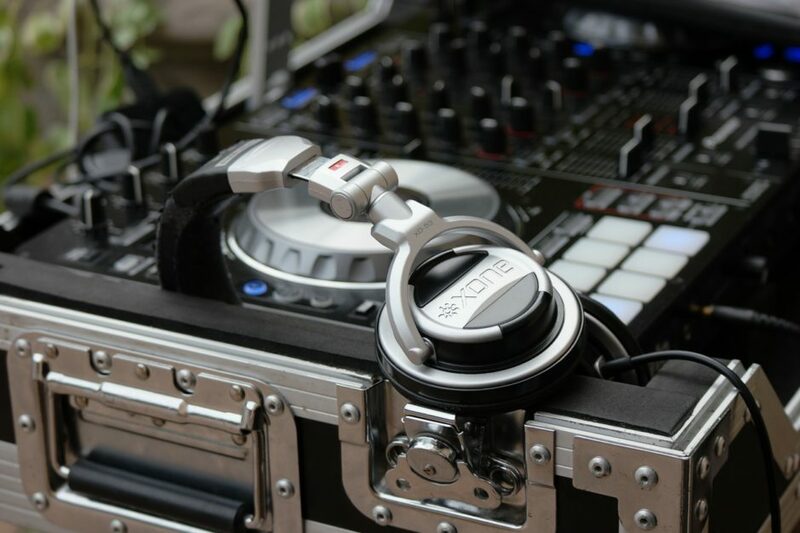 Nothing is more fun than playing and mixing beats for others to enjoy. 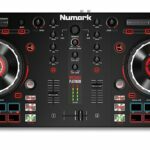 Below you’ll be able to find the best DJ kits for beginners from our handpicked list of controllers that give you the best value for the cost. 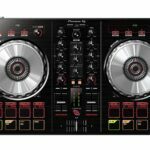 The Pioneer DDJ-SB2 is the company’s entry level pro DJ controller. Not only is it beginner friendly, it’s good to go for shows. As you get used to the device you’ll quickly find out that it’s fully loaded for it’s price. I mean it has four decks for queuing tracks. This is the only controller on the list that will give you access to this advanced skill-set. It has extremely good sound quality and an intuitive layout. Beginners who learn to use to it’s limits will be able to use any controller on the market. It’s robust and definitely built to last. Comes with a sound card and features that blow everything else on this list out of the water. Detailed Review of the Pioneer DDJ-SB2. DJs need to give themselves freedom to explore their trade. This piece of gear is anything but restrictive in that sense. This controller lets you experiment and manipulate music like a pro. 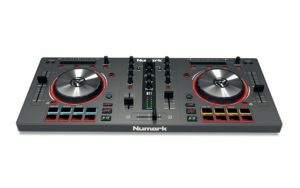 The Numark Mixtrack 3 is an amazing DJ Controller enough features to hone your trade. 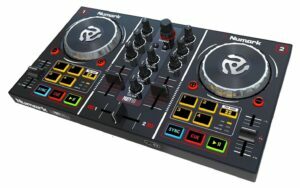 For the price, the DJ controller is a great bargain. It’s biggest draw are the large faders on each deck. They allow for some real accuracy that most kits don’t have. This precision will go a long way in teaching you how to find the perfect balance. This is one of the most cost efficient controllers on the list. Intended for people who are on the fence and just want to dip their feet in before fully investing in equipment. 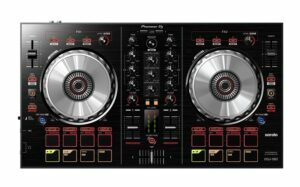 This has all the baseline features that are fundamental in more expensive gear and more than covers the basics of DJing. Basically if you need to learn something, it will be one this controller. Plus at the cost it’s very good for figuring out if DJing is for you in the first place. This will definitely take you to an intermediate user level and get you going. One major bonus is the full version of the software comes with this so there are no other fees if you want to dive in a bit more. All in all this is a very good entry into DJing for youngsters and hobbyists. The software is extremely easy to use. It has more settings and features to learn than the Hercules mentioned above and it’s perfect for mixing small parties and comes with a built in light show. The biggest feature is the soundcard, you can hook this up to an RCA speaker output without additional gear. This is the best mid range controller for beginners. It’s a two deck system with a full set of features. The controller is a high quality build with great controls like extremely sensitive capacitive jog wheels. The device is portable and can take you from beginner to running a live show without any problems. An onboard soundcard means you don’t need to make that extra purchase to push forward your DJing career. One noticeable difference is Gemini likes to put action pads above the jog wheels. It takes a little bit to get used to if you’re used to alternative layouts. These are my top picks for someone who would be interested in getting started with an entry level controller. I chose these more for people who are looking to dabble to see if the hobby is a fit for them. 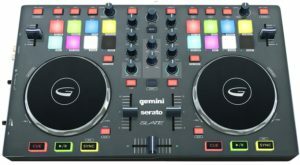 As such the price points are low because most of these are a beginner dj controller. That said most of these controllers have more features than other similarly priced models and stand above in quality and reviews. If you’re willing to pay for the best and want to start with the top of the line, definitely check out this DDJ SR review. Whether you start at the high or low end. You want to be able to explore and grow your skills without needing to upgrade and find something that works within your budget. With these controllers you won’t ever feel restrained and they’ll take you far.